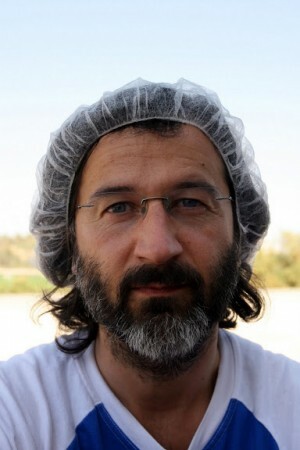 With DasArts to the Kibbutz Neot Semadar in 2009. After having ‘looked at art’ and a way of ‘perceiving it’, the DasArts student dived into an experience of the real. With Peter Stamer, the master students moved into a contemporary kibbutz, Neot Semadar in the Negev Desert in Southern Israel. 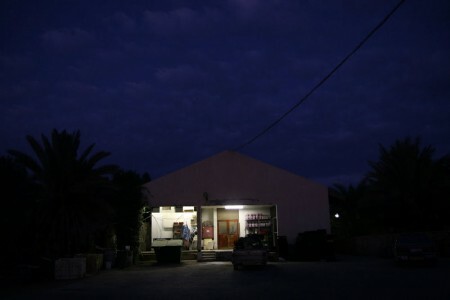 The village which was founded in 1989 is a community of people who try to acknowledge their relationships with each other and with their work. Our trip focused on physical work in order to create an altered concept of individuality, a different way of living, of seeing oneself in one’s surroundings which may alter the presence, concept, and composition of the artist’s body, both mind and muscle. At the end of our working residence at the kibbutz, the group spent some days in Tel Aviv in order to get in touch with the local arts scene, using the new experience to share it with other artists, interveners, performers in that environment. The block didn’t provide too much time to allow for incubation. Thus, to achieve some of the above mentioned attempts, the environment of and for labour and experience had to be chosen carefully. Rather, by introducing other practices, other spaces, other routines, the block challenged different looks upon, approaches at, and therefore, physical as well as intellectual understanding of DOING. Thus, working on a different, non-artistic field was to be taken literally. Environment. Since 1910, the Kibbutz movement follows the Zionist idea to build Israel based upon fertilizing its soil. The concept of Israel as nation is thus understood by blood, sweat, and tears that are left on the battlefield of agriculture. The Kibbutznik was a heroic pioneer who by ploughing the fields, is also extending Israel’s territory – in terms of providing geographical and political space. Even in times of post-industrial production, to a certain extent, physical labour seems to weave on what holds the nation together and what produces its identity. In the last decades though, the Kibbutz movement had to adapt to the needs and challenges of globalized business. Adaptation led to specializations as well as structural changes, some Kibbutz had to give up the idea of economic autarchy. This accelerated changes in how Kibbutz are socially organized. Nevertheless, the Kibbutz movement and ideology is still nourished by the concept of social community empowered and facilitated by mutual respect, collective bonds, economic autonomy, self-organization in villages – and experience of common labour. Collective. Working, labouring together, a different field open ups and provides the players with hyper-individual social rules, group behaviour. A collective experience that is not bound to a wink with the eye, but that sets the ‚I’ at stake – through labor. Individuality, the so-called source of art, is challenged, questioned, and readjusted. The body is traded for protection, meals, and bed. In return, the block works together in the field, being responsible for an autonomous working process outdoors and brings some of the products home to Amsterdam. Body. Over three weeks (to the max), bodies will change, will have been altered by the impact. Perhaps the body has become a functional one, a mechanical one which has to comply with different, newly discovered parts and elements than before. Art production needs the body as a site of producing, of working. What if the body one experiences does not function the way the artist is used to? What if the body has to operate rather than to represent? Art. At the end of our working residence at the kibbutz, the group also spent a couple of days in Tel Aviv in order to get in touch with the local arts scene. We were not simply interested in spending time in closing us away, but rather using the newly made experience to offer and share it with other artists, interveners, performers of the given local environment. 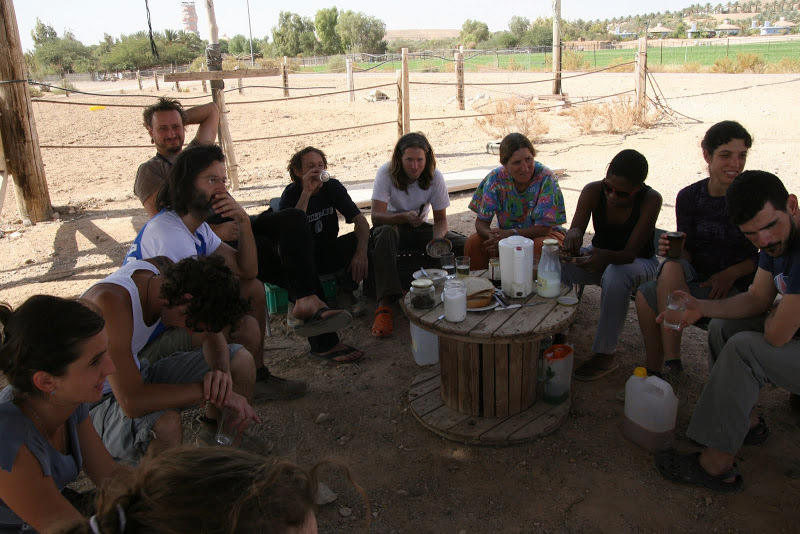 We had a one-off parcours at the end of our stay at the kibbutz: How does the experience on the field, that has also been fueled by talks, try-outs, little approaches during the spare time of our residence, feed back on the individual artistic work in the end? How do new skills, new patterns of knowledge inspire given, habitualized artistic practices? And how do we (perhaps based on simple scores) share time on stage after having shared time on the field? The working and living environment of the Kibbutz offered a play of and for difference and exchange to redefine the relation of work and the arts, social experience and experiment, the every day and suspension, agency and artistry. A heterotopia, an other space. A landscape between sand and sadness, a stone pool on the top of a hill. Its dark glaze mirrors cloudy shadows, white, in the shape of sheep. No wind, no word, anywhere. The sound of sweet warm water, coming out of a hollow metal pole, causes soft ripples reaching out to the stone rim. The warmth of desert water caresses our heads as we slowly rise up from down the water, up to our eye lines. We hold our breath, don’t want to stir up any bubbles. This is where we live, deep down in the pool. We have never left you. We decided to make us grow some gills to be able to breath, to have some fins to be able to live where we are inaccessible for the world. We picked the most unlikely place to escape to, where nobody will find us, as if we had been swallowed by the soil, to become closer to you than ever. We are water. We were sand. We don’t want to be taken from here, caught here. We are transformed. We are the movement you feel between your legs, underneath your kneecaps when you step into the pool. We are the bubbles you see coming up from the dark when you splash in the warm water. We are the scales you find at the rim wondering where they come from. We are still among you. The kibbutz movement was dead. It didn’t aspire anymore, doesn’t inspire anymore. 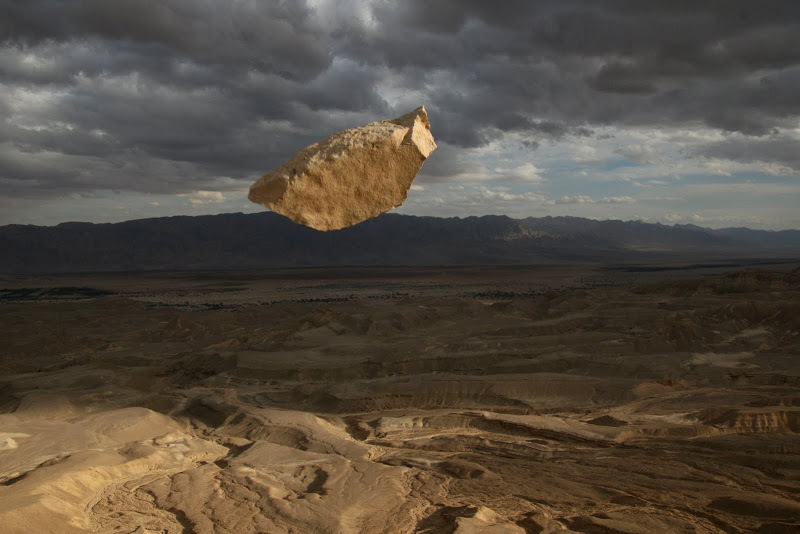 Apart from a 200 people kibbutz situated in the south of Israel inmidst the Negev desert, called Neot Semadar. Founded in 1989 by a group of young people coming from diverse backgrounds, in order to rejuvenate the kibbutz movement, as they have called it. Their interest at that time revolved around one main question: ‚How can we live together?’ For sure, this question might have to come up in regard to continuing Israeli-Arab conflicts, yet this approach was much more focused on the question of one individual’s relation to his/her social environment. They wanted to build a school for life-long learning by taking over the a left-over former kibbutz. What are the conditions a specific practice needs as well as constructs? And how does a practice feed back on the condition? If you enter Neot Semadar, leave cynicism outside. As Rina put it, the kibbutz considers itself of being innocent. They try to maintain an unbiased look at what they do and experience. It’s easy, they say, to be cynical, there are a lot of things that – as a matter of fact – don’t work out in an environment that is created by this small community, by a community of un-experts, of amateurs and, yes, dilettants. Since the community tries to look at every work for the first time when they approach it, they refuse existing knowledge patterns, and rather attempt to un-learn what they know, being aware of the paradox this implies. They know that it’s easier to turn down an attempt than restarting after failure. Learning by doing, an all too simple slogan, exploited by marketing agencies since ever, here it seems to be a principle of how to relate to the world and its challenges. Doing here embraces as well ways of living together, being aware of the other’s contribution and singularity in order not to feed oneself by prejudices or assumptions about the other. ‚Doing meeting’ here is a daily effort to ask again, to talk again, to empathize again, WITHOUT repeating. Doing ‚again’ without repetition, restarting after failure as well after success is the effort that is to be taken. Cynicism here would mean to already have an opinion, a way of looking BEFORE the factual object of challenge has asked for attention. Yet, this place is not peaceful, not naive, not mellow, to the contrary. This environment is conflictive, asks for commitment, position taking. Positioning not for individual vanity, exploitable to gain one’s attention or to augment one’s reputation, to enhance one’s status within the group; positioning in order to understand what is needed by the individual and its part for the whole, to understand here means to respond, to answer to the needs of responsibility. Thus every answer is creating another field of options which create the field in which the rules are altered. But being responsible begins at one’s relation to oneself. The individual has to know what s/he needs, asks for, rejects as well. Being responsible for oneself does not play on dependency on the other, but on self-dependency. There is nobody to blame then one’s proper self. Thus, one gets rid of emotional dependencies that are based on as well as create inequality. Helping is not an act of sympathy, thus of establishing a categorial bias, it’s an act of sharing: the ‚weak’ is not rendered ‚strong (‚again’), this distinction does no longer exist. Difference but is maintained due to responsible acts for one’s own. Responsibility is unconditional. When they say the kibbutz is based on freedom, they mean that freedom is defined by the possibility to leave it. Nobody is forced to stay within the community which maintains in their opinion the spirit of volunteership: you stay because you are not forced to. Yet, defining freedom ex negativo doesn’t acknowledge its potential and power; freedom is defined by the power from within the system we are living in. That the system itself provides the individual with freedom is at the core of liberty which implies that freedom to leave is just ONE parameter of it. Rather, freedom can be called freedom, if the system provides ‚enough’ freedom to stay in it if the individual can stay wherever he wants to. Dictatorships define no freedom, democracies define freedom to go anywhere (negative definition), and utopian societies define freedom positively. Freedom to stay is based upon my desire to understand particularly what I don’t want, in order to get to know the cause: rejection therefore can be interpreted as the symptom of my relation, yet not as its cause. Rejection is a habitual reaction based upon assumptions driven by past experience that are projected onto the actual challenge. Disliking a challenge, physical labour or action is a symptom of unfulfilled desire. Yet, uninterested, unaffected participation offers a different, or innovative approach to work which is no longer related to the alteration of its object, but work as a continued process of actions within an unfocused time come to the fore. Thus the kibbutznik, the volunteer tries to be IN the time s/he is at the moment. Being ON time to the contrary is less important, on time delivery as in ‚work efficiency’ as being bound to work’s performance (performance is the ratio of work in time) is of less importance. What Neot Semadar attempts is nothing less, in my eyes, than an utopia, to create a place that is yet to come, that is established by daily routines which are not routined but rather await the uncalled. Neot Semadar is not a religious place since every belief system would prescribe one single way of relation, of behaviour, of a rule that has been established outside the community and its reality. They don’t strive for redemption by a Messiah, they rather help themselves and each other by means of living together. Dear, I think that we are in the bus on our way to Tel Aviv when you are reading this. Being tired, exhausted, but also perhaps excited, euphoric, for sure in a peculiar, very specific state of mind. We have gone through three weeks at Neot Semadar, though it feels like much more, have committed to all our needs, desires, feelings, quarrels, questions, joy in the kibbutz, with each other, and with ourselves. Yesterday, we were looking forward to a moving farewell, having each our share in it. I want to thank you that you have come a long way on our tour, thank you for your patience, curiosity, and openness to this trip so far. Words don’t come easy in the face of the vastness of our adventure, but we will have some more opportunities to look at what we were experiencing in the last weeks in the forthcoming days in – Tel Aviv. Coming out of Neot Semadar, we might be overwhelmed by what a city like Tel Aviv has to offer us. Yet, the idea to stay four more days in the city was based on giving a chance to process our experience, in an environment that is conditioned in a different way than the kibbutz. And it’s also true that it would be a pity to come to Israel (for some of us for the first time) and not having seen one of its most exciting cities in Israel, embracing its people, life style, and of course art scene. As you might have recognized in the meantime, both my personal and artistic interest lies in looking at conditions of being together. How do we work, collaborate, live together? How can we negotiate the difference of our needs and tasks? How to deal with our automatisms, habits, and practice in regard to the challenge of a new (social, local, temporal) situation? Is mutual exchange, ‚uninterested interest’ in each other possible after all? These are still my/our questions for the forthcoming days. DasArts, a Master of Theatre program of the Amsterdam school of the Arts, its various, internationally experienced participants, and their mentor Peter Stamer would like to invite Tel Aviv-based professional artists to meet them for dinner – and much more. By that time, the group will before have spent three weeks in the kibbutz Neot Semadar in order to learn by living in a social community which is empowered and facilitated by mutual respect, collective bonds, and self-organization. The trip will focus on physical work in order to create an altered concept of individuality, a different way of living, of seeing oneself in one’s surroundings, which may alter the presence, concept, and composition of the artist’s body, both mind and muscle. Then, for four days, the 14 members of this program go to Tel Aviv to share their new experience with interested local artists from various backgrounds such as visuals, performance, dance, and of course theatre. The idea is to meet up and exchange individual ideas, approaches, practices based on mutual interest and unconditional hospitality. There is no other economy involved in this meeting than sincere curiosity and individual attention, on both parts. There is no other expectation than the wish to get to know each other. There is no other involvement than the otherness we would like to understand. Studiosalon 22 in Jaffa serves as DasArts basecamp where we would like to welcome open, curious, attentive local artists from the given fields to be our guests throughout our stay, but particularly to join us for dinner on Friday, November 6, 2009 at 20.00h, Studio Salon 22, Yehuda Hayamit 22, Jaffa.In collaboration with the Mandel Center in Jaffa, the group has also access to the center’s studio and working facilities throughout their stay. There, an open performative moment will occur on Monday night that is artistically nourished by the experience of fruitful encounters, taken both from the kibbutz and Tel Aviv. The event shall be carried out both by DasArts participants as well as local artists who have been joining the group during the weekend. The moment is performative, but yet not a performance, it will be staged, but not public. It is rather based on equal participation, artistic commitment, and performative exchange. This letter names a few of conditions of meeting which I find very important, like: There is no other economy involved in this meeting than sincere curiosity and individual attention, on both parts. If you ask me why these people come and want to meet up with us, I have no answer for that. You should ask them. Who is guest, who is host anyway in a meeting? Mutual interest in each other is always the best way to get to know each other. Apart from social pleasures, we will be served a full treat, dinner, wine, fruits, delights we might have missed in the last weeks. And as a reference to our kibbutz experience, we could wear white clothes on Friday night which distinguishes us festively from our guests. This would be my suggestion for tonight. Our guests become hosts when we ask them to show us around in the city in the forthcoming days, if they want to. And if we want to. Each of us has different interests, questions, encounters. Some of the guests might become your/our personal guides of Tel Aviv, you/we might not be able to discover without their proper faculty. There is no other economy involved in this meeting than sincere curiosity and individual attention, on both parts. If both sides share interest, it might lead to further meetings in town or in our base camp during the weekend (Studio Salon22) and on Monday night. Studio Salon 22 will also serve as our basecamp, a center for exchange and meeting. I want us to use a huge black board where we can leave messages, invitations, notes for each other, to inform about (joint) excursions, ideas, trips, or the like. Let’s use this opportunity extensively; if someone wants to call upon a meeting, s/he is free to do so. You will receive some (symbolic) production budget of max 100 Euros you can spend as you like – as long as you bring receipts for the DasArts accountant: Invite (foreign) people for dinner in town on Saturday, have lunch on Sunday, spend it for a trip, buy books, get people from Neot Semadar over, spend it for admission of cinema, theatre, or exhibition, buy clothes, whatever – as long as you are aware that we will have a LONG NIGHT ON STAGE of Mandel Center on Monday from 7pm to 1 am where you might weave in all what you have gone through and found on your way. For me, the stage is a space of expecting the unexpected, a black box the abstraction of which leads to the most overwhelming experience: creation of the here and now. I am curious to see how we share our experience together of Tel Aviv as well as the repercussions of the kibbutz, on the same spot and at the same time. There is no other economy involved in this meeting than sincere curiosity and individual attention. I see the LONG NIGHT as a meeting of (cultural, performative, social) practices. How are we going to deal with what everyone of us has brought along, surprise guests, surprise events, preconceived movies, artefacts, ideas, objects, bodies, gestures, songs, talks? Of course, if you are interested in preparing lights, sound, videos, a structure, you are free to do so. DasArts has brought over its complete staff who are all at our disposal. If you want to work on stage or try things out, the stage on Mandel Centre is available on Sunday as well. But be aware that your prepping is just one amongst many other ideas. I don’t want to set a score to structure these events that of course have to be negotiated – but on the spot itself. There won’t be any other meetings before to talk ABOUT the event than the event itself. What will it become, a happening? Woodstock? Chaos? Performance? Meeting? Concert? Jukebox? Installation? Travesty? Mime? Moonlanding? A sleep-in? A dinner? All of it together? 1. We start at 7pm. There is no late coming. And we finish at 1am in the night. There is no bailing out before time: We will spend these six hours together. Reduce your off stage time to the maximum if you have to go to the toilet. This is about sharing a moment in the moment itself. 2. There is no public, but participants. Everyone who comes is on stage. None is watching. Everyone is visible, present, ready to be addressed and to address, up for sharing the same situation of doing. Doing here is everything that takes place. Sleeping is doing. Talking is doing. Performing is doing. Technical staff, your guests, even the public if some of the respondents’ thought they can watch after having received the initial mail. 3. The stage is empty in the beginning. If you arrive, you bring what is needed. If you have prepared anything, you have it stored on the side of the stage, ready for use. Once on stage, props, objects, equipment stays there. I would like you to agree on these terms – personally. Bottomline: Tel Aviv is conceived of as an OPEN ACADEMY where you set conditions to challenge yourself. Looking forward to being with you in Tel Aviv!